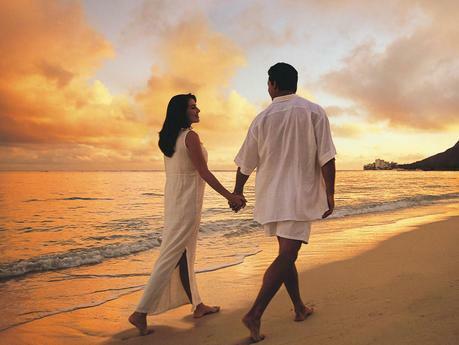 In most cases, a honeymoon occurs only once in a lifetime. Why “honey”? Because it is a time of romantic and sweet love, a time of mutual enjoyment, a time of reflection and a pleasant rest. In most cases it is being associated with an excellent trip. It should be started with planning, as such approach will help to make this time unforgettable. Among all the pre-wedding hassles and troubles, planning the honeymoon occupies the last place. Of course, the wedding is done not only for the newlyweds, but also for relatives, friends, acquaintances. 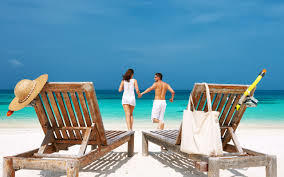 However, the honeymoon is only for the newlyweds, so it is necessary pay a little bit more attention to it. What should be noted? First of all, you should decide on the amount of money that you can spend. To take money on credit or borrow, in order to go on a trip, is un unreasonable decision, because starting a life of a new family with a debt that will have to be given for a long time is not very positive. Secondly, decide when you can take a few days or weeks of vacation and calmly relax without phone calls and monitoring the work from a distance. Remember: work and vacation during the honeymoon are not compatible things! Third, choose a place where you would like to rest. It will be far away, close to home, in a crowded place, or where you will be alone together, somewhere on the sea or in the mountains, etc. This is probably the most pleasant point of planning, but at the same time the most controversial. After all, each of us chooses the type of vacation he prefers, because tastes differ. Do not let your own desire prevail and quarrel with your beloved because of it! The best option is to discuss everything and find a compromise. Fourth, decide if you need a tour agency. The Internet is constantly expanding its domain and online services are developing with it. Now you can book a room in the hotel of your dreams via the Internet. Nevertheless, you may not know some of the nuances that can significantly spoil your honeymoon or even cross it out. If you are going to rest abroad, you need to know if you need a visa in this country, some other documents. In addition, the information about the climate of the country is very important. In this, tour agency will be useful. In addition, it can also offer an option that you did not even consider. If you have chosen a vacation abroad, find out more about this place! From the Internet, from books, from acquaintances. This will save time on vacation. No matter what you decided: to spend the honeymoon abroad, or in your country, to spend a lot of money or not, try to spend it unforgettably, because in fact, the happy minutes are completely independent of all these things. They depend only on love between you, and the desire to spend time together, having fun and enjoying the moments of happiness. About the author: If you are looking for fresh ideas and would like to enjoy writing process, then you should check the posts written by Melisa Marzett http://skycustomwriting.com. You will definitely like her manner of writing.